Not a subscriber? Why not subscribe to one of our popular newsletters below? Tapping the power of the plate to fight disease and increase longevity. 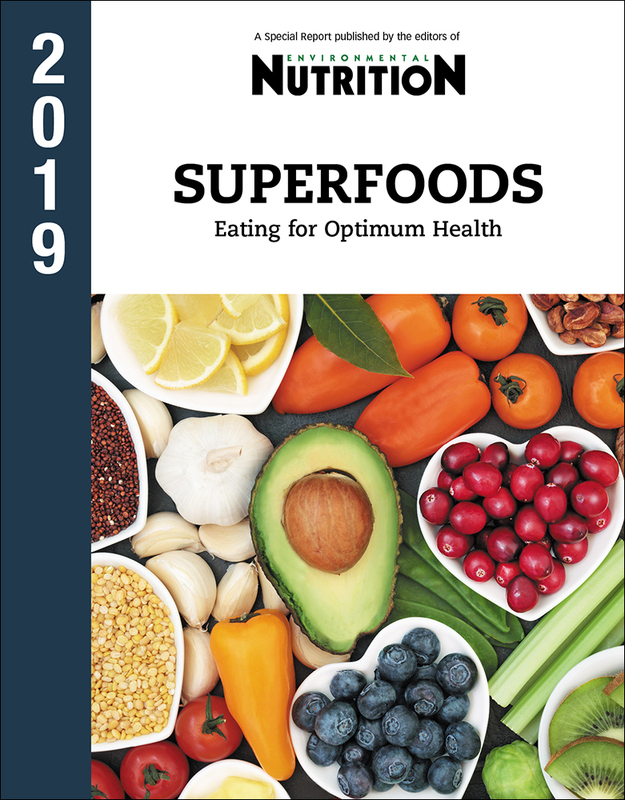 Including: Plant-based proteins, colorful vegetables that boost healthy flavonoids, smart snacks, and building superfood eating plans. 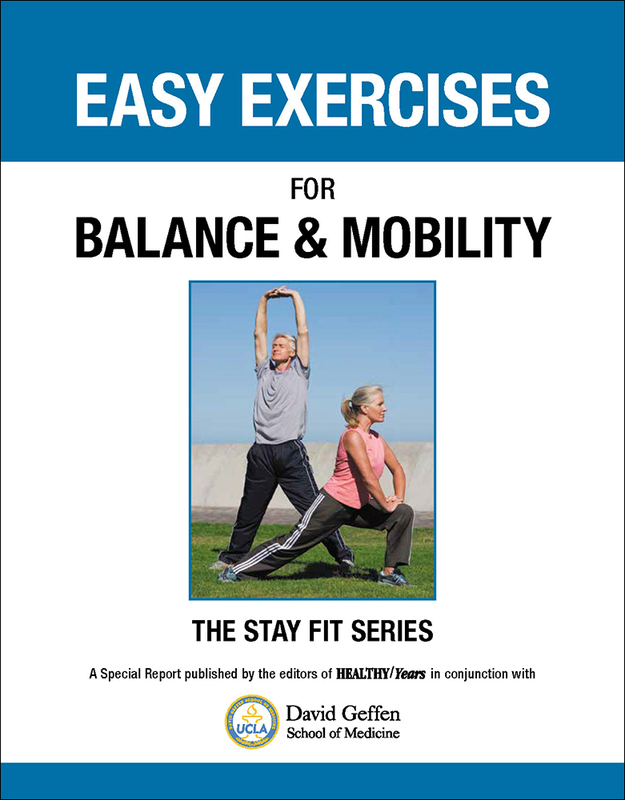 Easy Exercises for Balance & Mobility explains the balance-falls-mobility connection, and helps you determine your risk of falling or losing a degree of mobility. 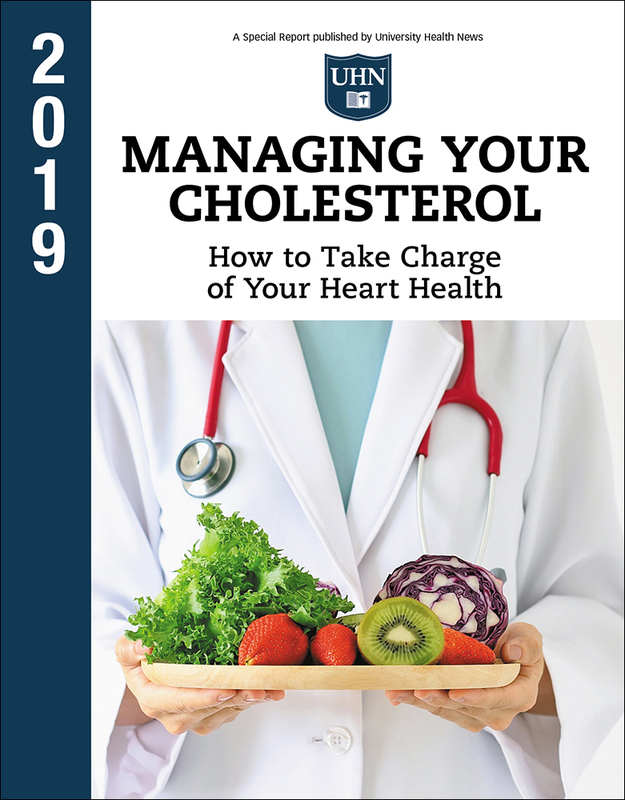 Discover the steps that will speed you to lower cholesterol and greater heart health and wellness. The 101 best foods to lower blood pressure, control cholesterol, and boost heart health! Reduce your risk of heart attack and stroke with Heart-Healthy Diet from UHN. 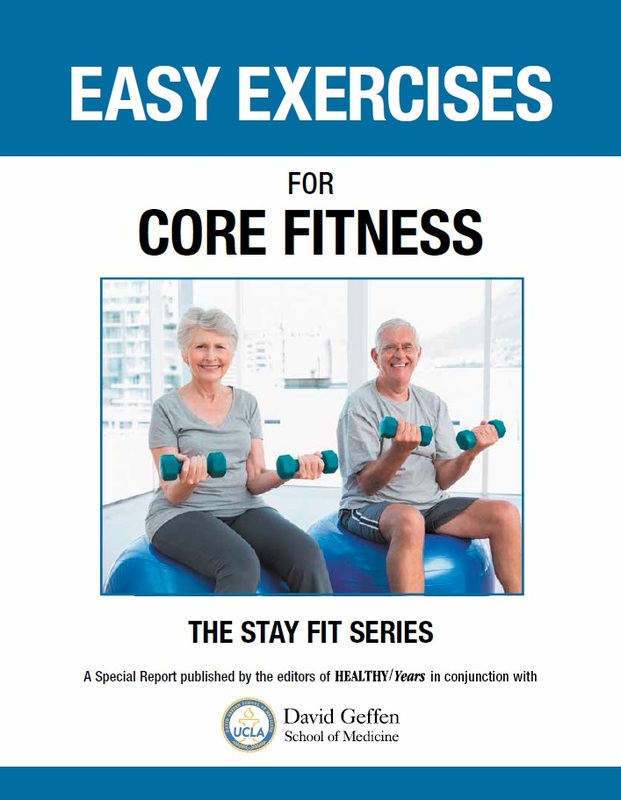 Easy Exercises for Core Fitness shows you how to become stronger, more flexible, and more independent, regardless of your age or fitness level. 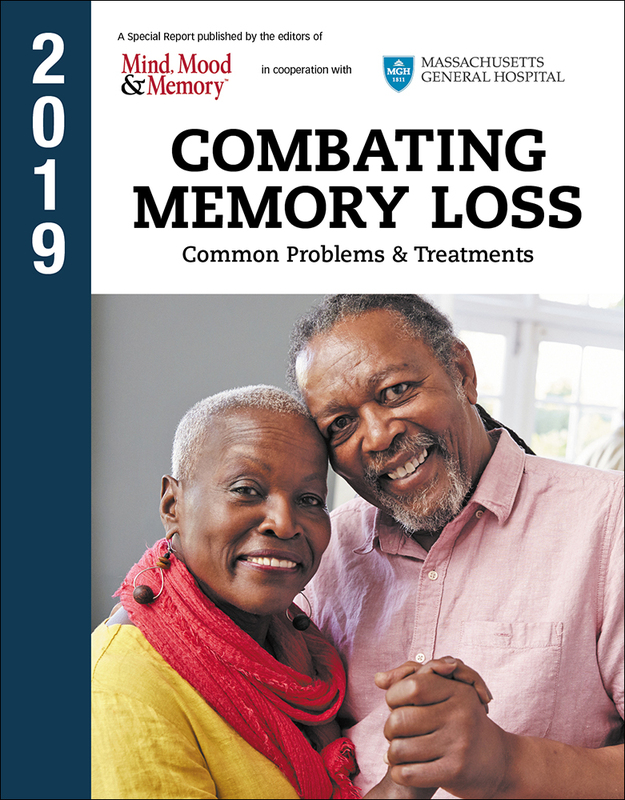 Distinguishing normal age-related forgetfulness and memory loss. Plus: The latest findings on Alzheimer's disease, Lewy Body dementia, protecting neurons, and investigating memory-enhancing diets. 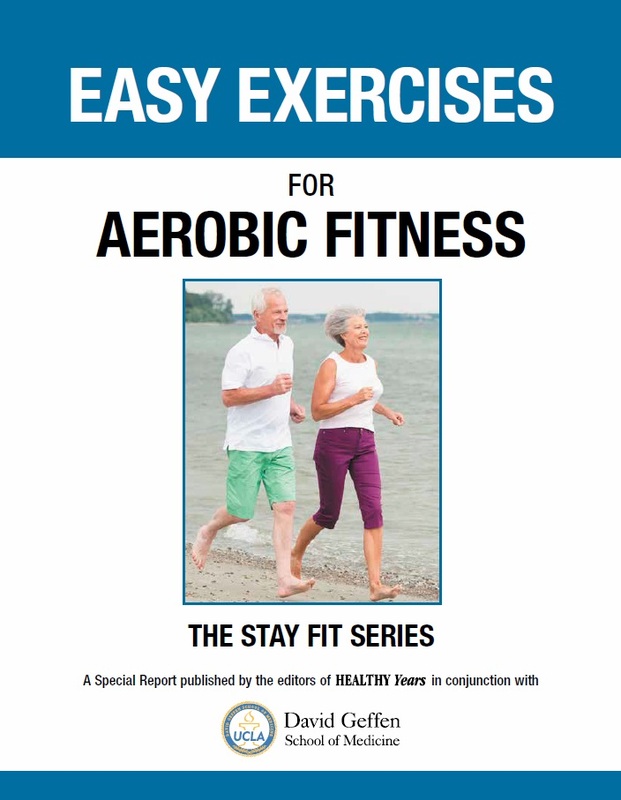 Easy Exercises for Aerobic Fitness is filled with information, illustrations, instructions, sample programs, and more from the David Geffen School of Medicine at UCLA. 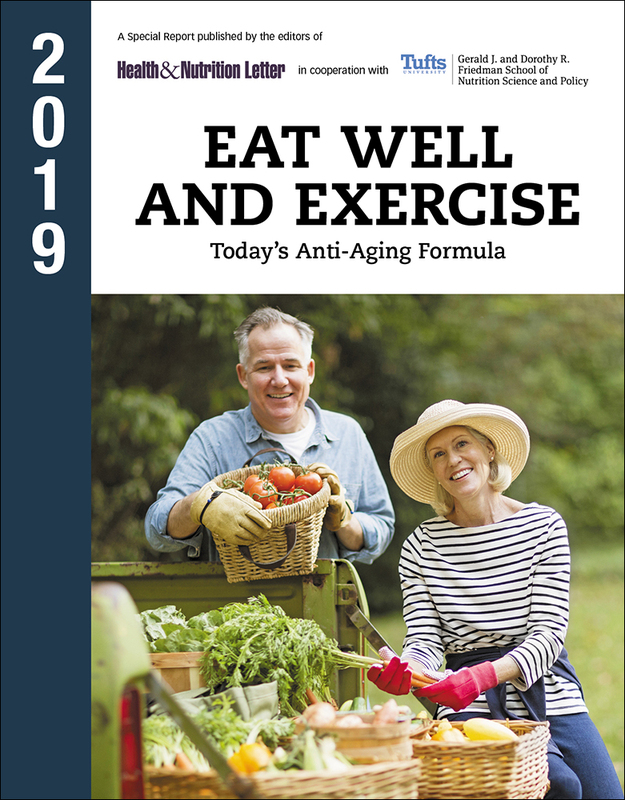 Discover the strategies that will make a difference you can measure—and will safeguard the good health you treasure. 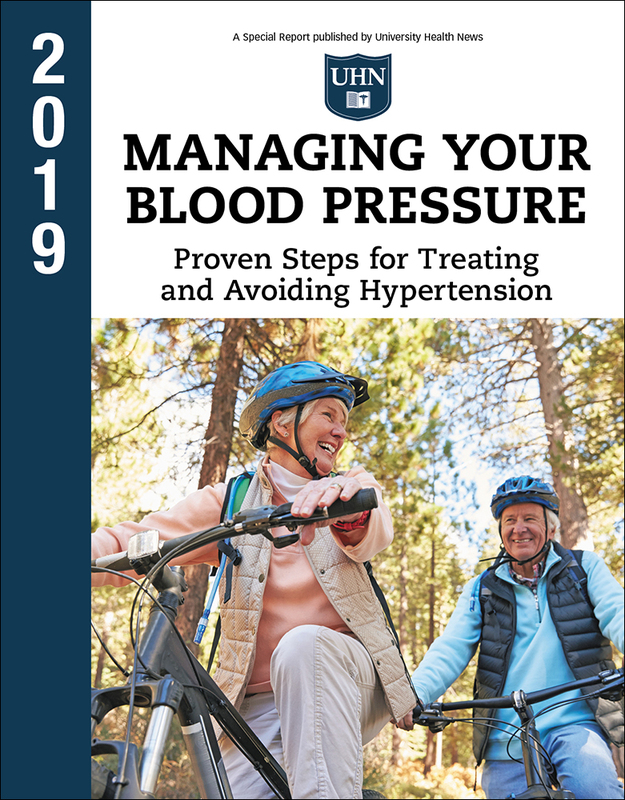 Order your copy of Managing Your Blood Pressure now! 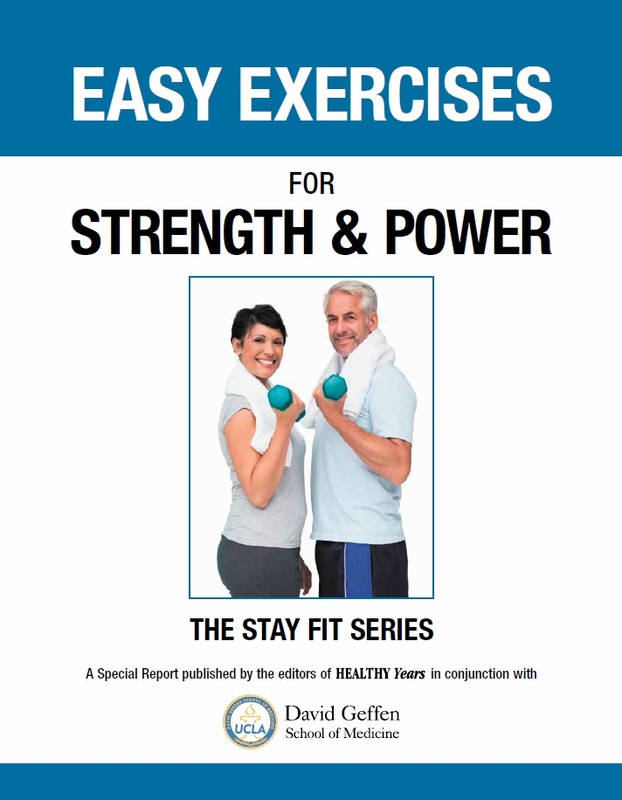 Easy Exercises for Strength & Power has 40 exercises for the upper body, core, and lower body with step-by-step instructions and illustrations. 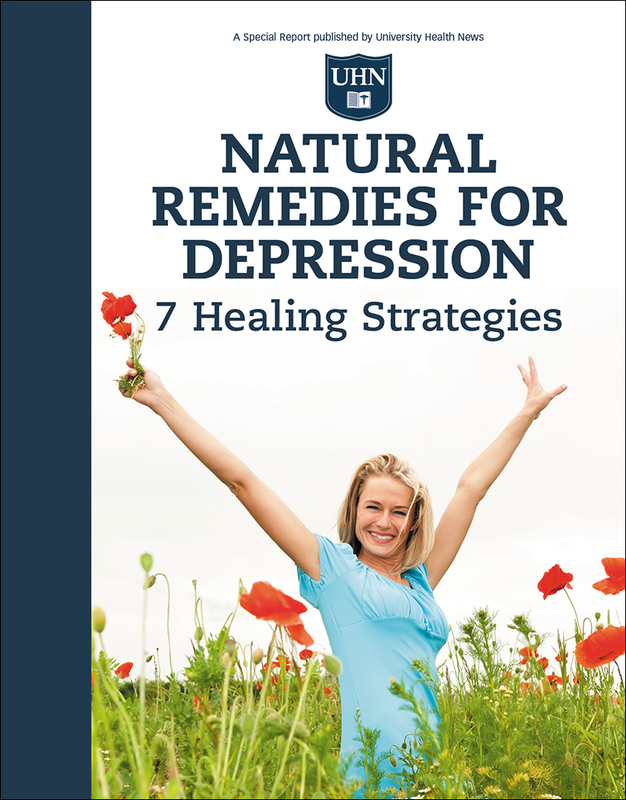 Discover the hidden problems that are likely causing your depression and the natural solutions that can help you loosen the grip depression has on your life. 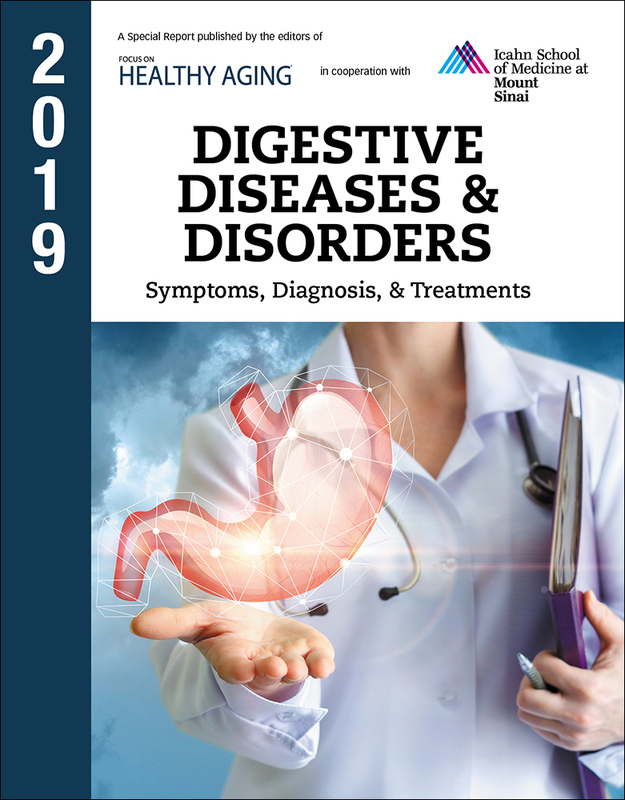 In this Special Report, Digestive Diseases & Disorders, we describe the most common diseases and disorders that can affect your digestive system from top to bottom. 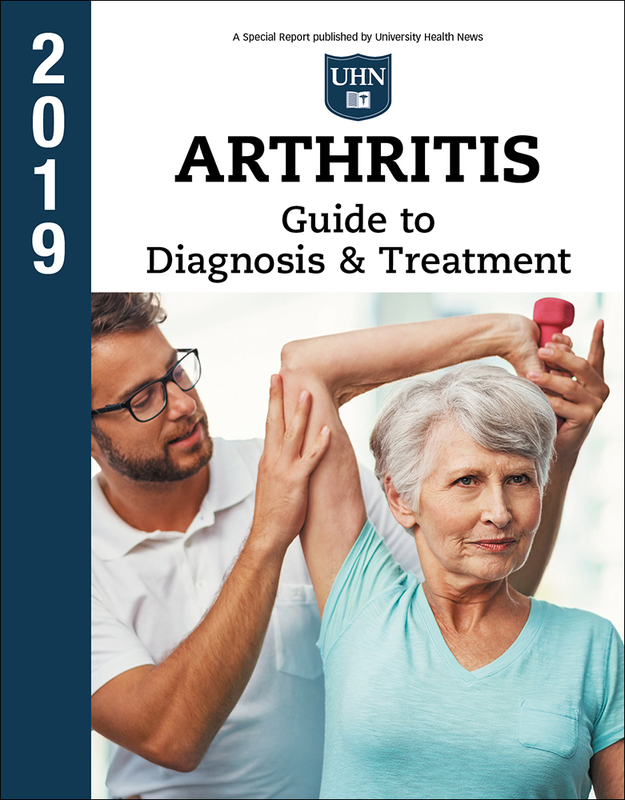 A special report from the editors of University Health News helps you ease the pain of arthritis and take back your life again! 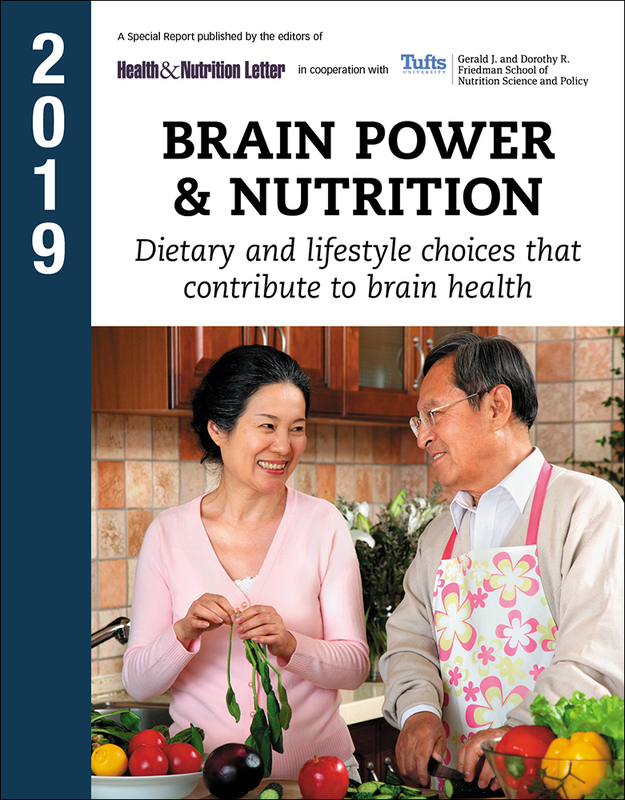 Let the nutrition experts at Tufts show you the smart eating choices that can protect your powers of recall and fortify your mental agility. 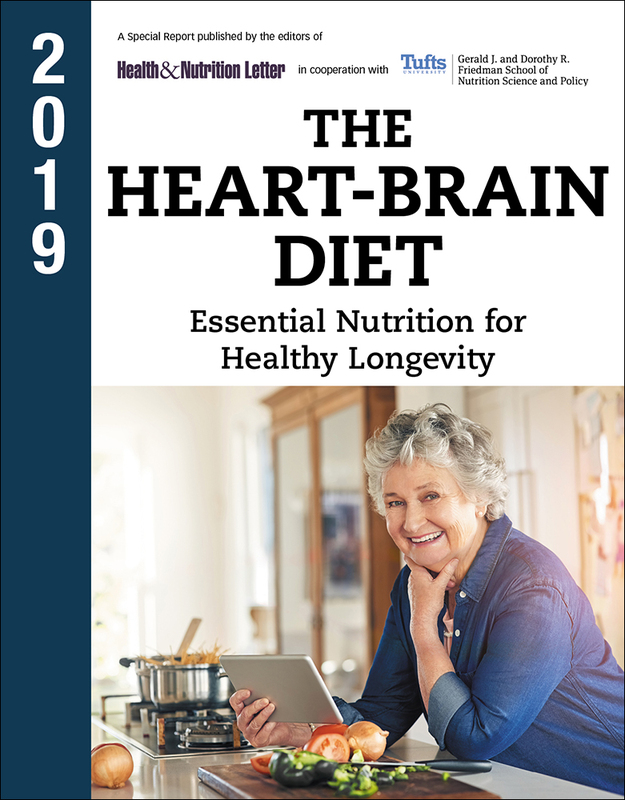 The 2019 Tufts Heart-Brain Diet doesn't require you to starve yourself or give up the foods you love. You'll discover eating plans you can stick to, recipes you'll savor, and meals you’ll look forward to making. 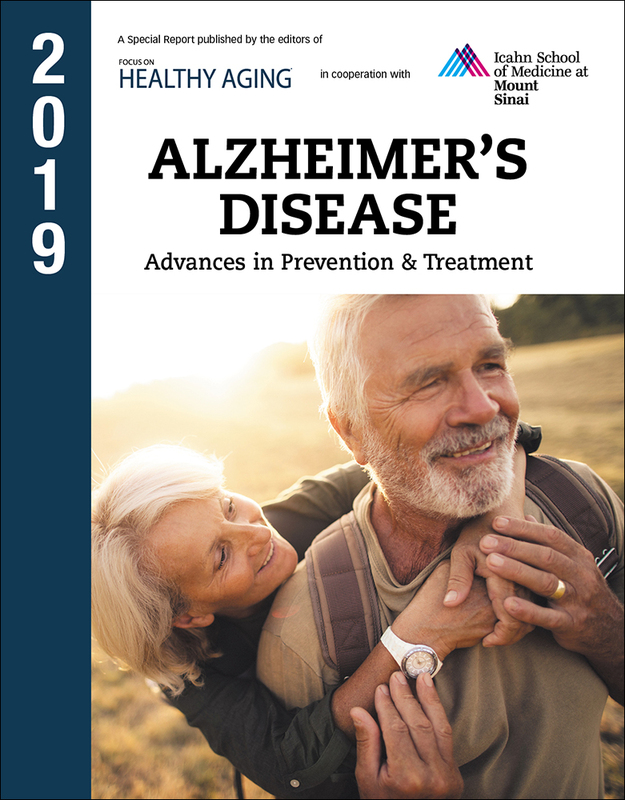 How this memory-stealing disease can be defeated, including family history versus environmental factors, a reality check on drugs, helpful diets, and new therapies that push back memory loss. 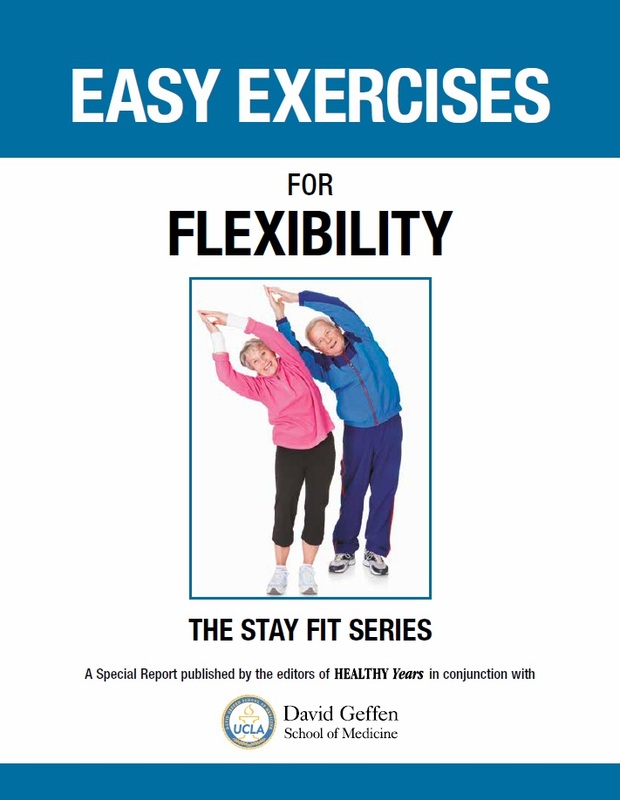 You can do something to maintain and even improve your flexibility, and Easy Exercises for Flexibility can help you choose a program that fits your specific needs. 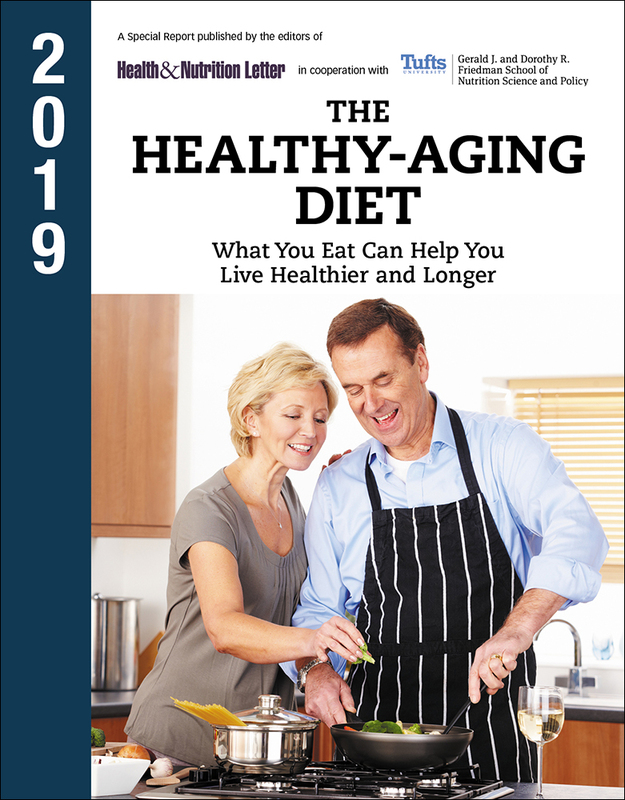 Now you can help put the brakes on aging by eating right and moving more! 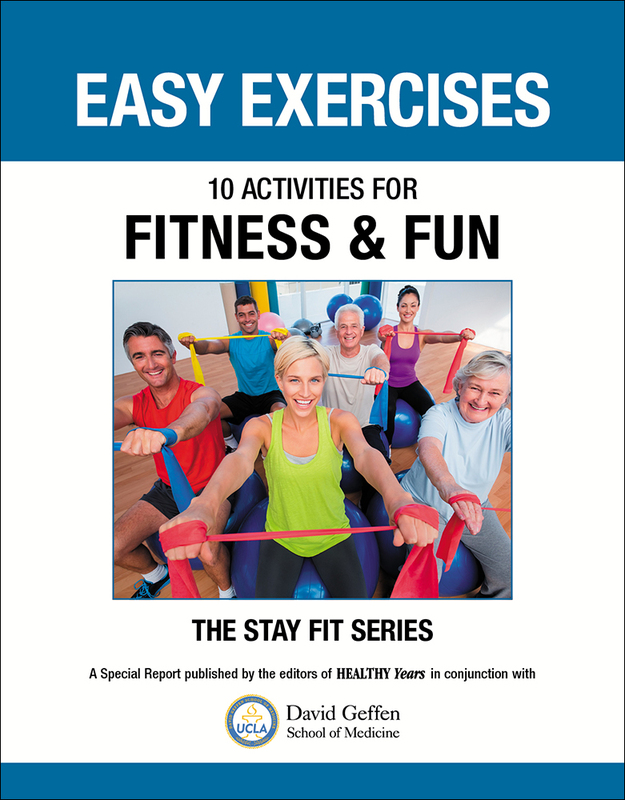 The nutrition experts at Tufts reveal how to stay active and independent for life. Change Your Diet, Change Your Life gives you more than food for thought. 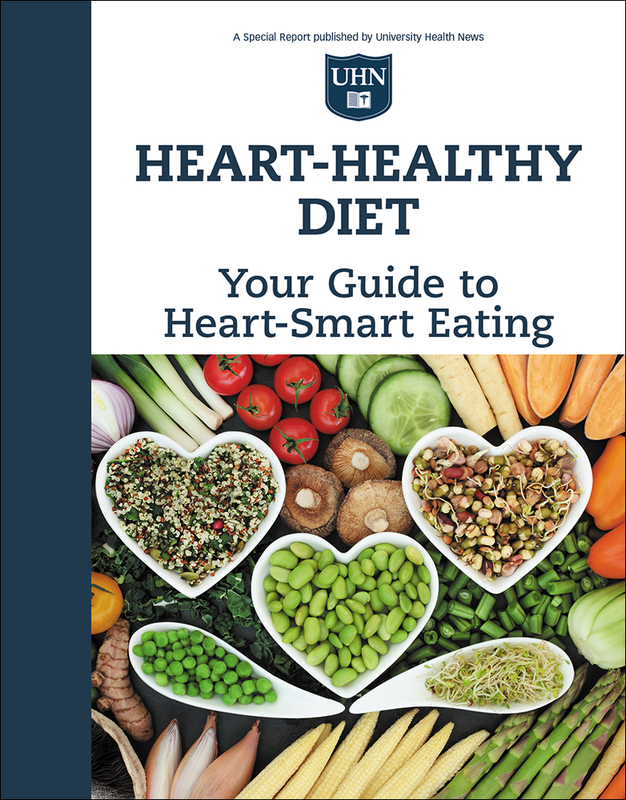 It provides the essential information you need to consistently and confidently make the most healthful food choices. 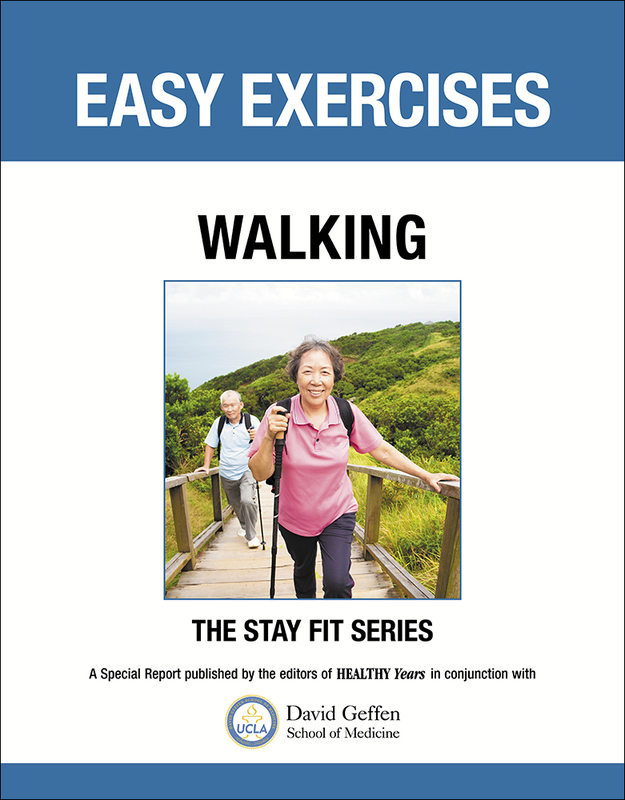 Easy Exercises: Walking, from the health experts at UCLA's David Geffen School of Medicine, gives you all the information you need to walk regularly with thoughtfulness and free of injury. Depression isn't just prolonged sadness and isolation, but a serious condition that can lead to insomnia, heart disease, and stroke. 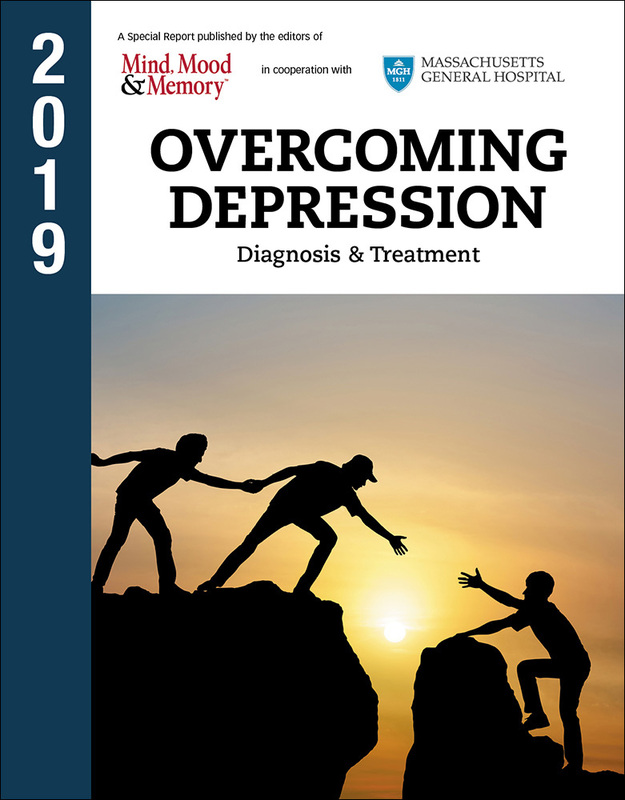 Special focus on anti-depressants, talk therapies, and other treatments. Sleep problems can lead to heart disease, stroke and other health issues. 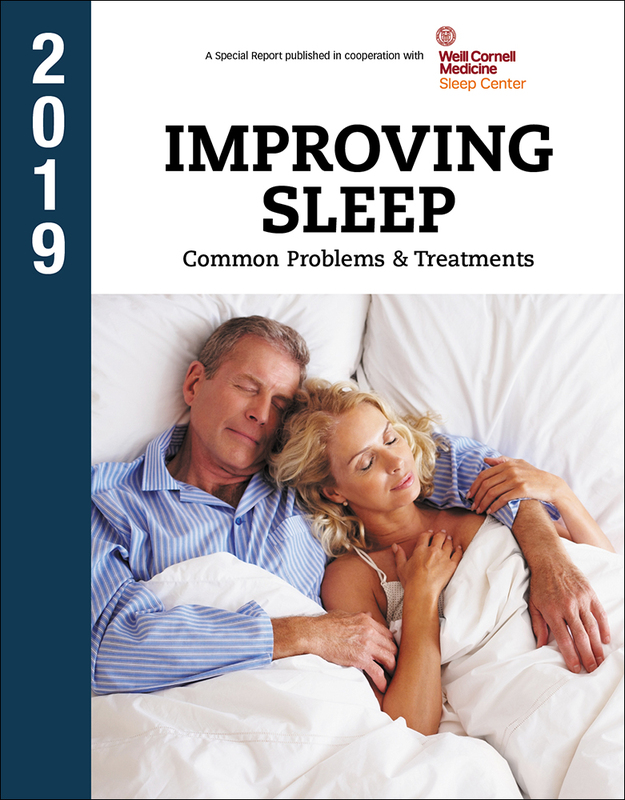 This report focuses on sleep-robbers like overactive bladder, restless leg syndrome, obstructive apnea, and others. When to worry that a mole, blemish, or mark is serious? 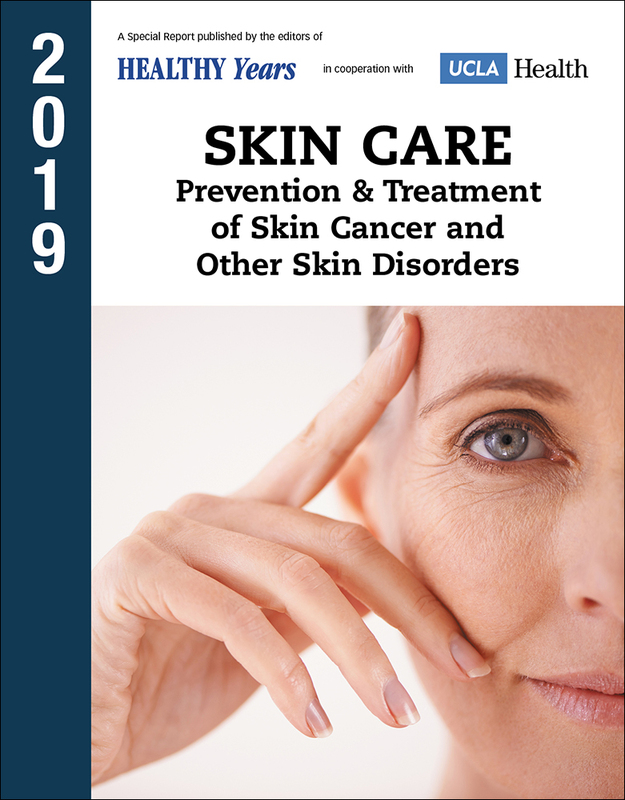 Find out about skin cancer and other conditions (including aging and dry skin, shingles, cysts, and hives), along with prevention, treatment, and when to act. 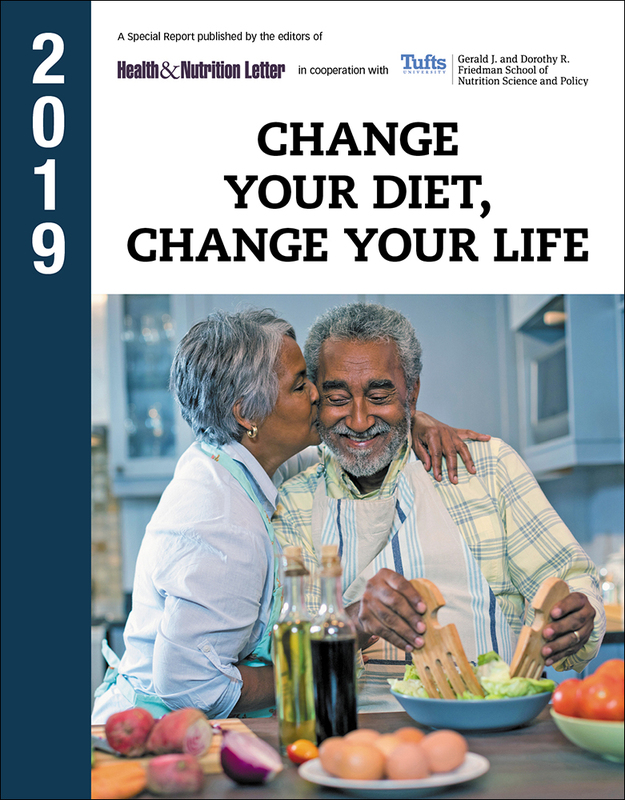 Discover the healthy-eating secrets that can help you get—and stay— healthy in your 50s, 60s, 70s and beyond with this all-new report from the experts at Tufts’ Health & Nutrition Letter. 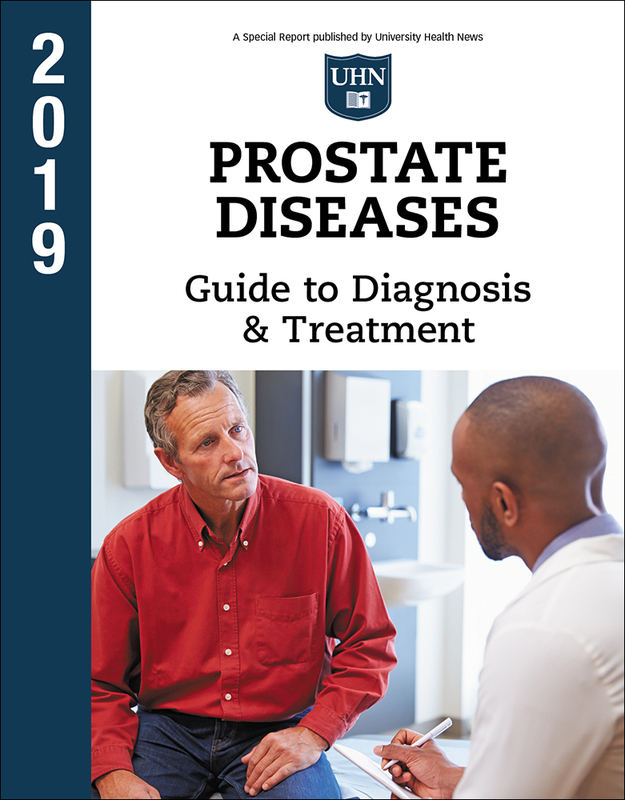 Prostate Diseases explains how you can take steps to safeguard your prostate and reduce your risks of prostate cancer and other conditions. 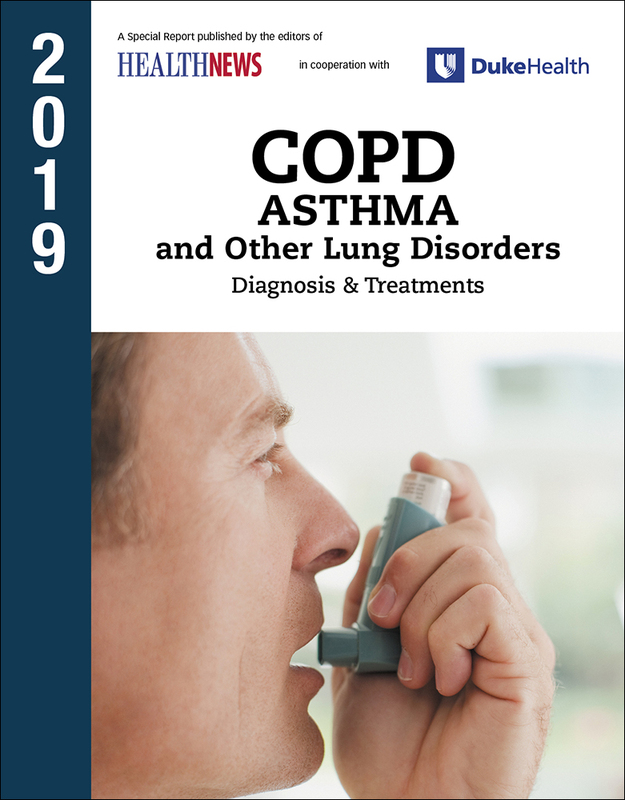 Tools you can use to fight the major respiratory ailments of chronic bronchitis and emphysema, with a special focus on asthma. Also included: The latest on metered-dose, dry powder or nebulizer inhalants. 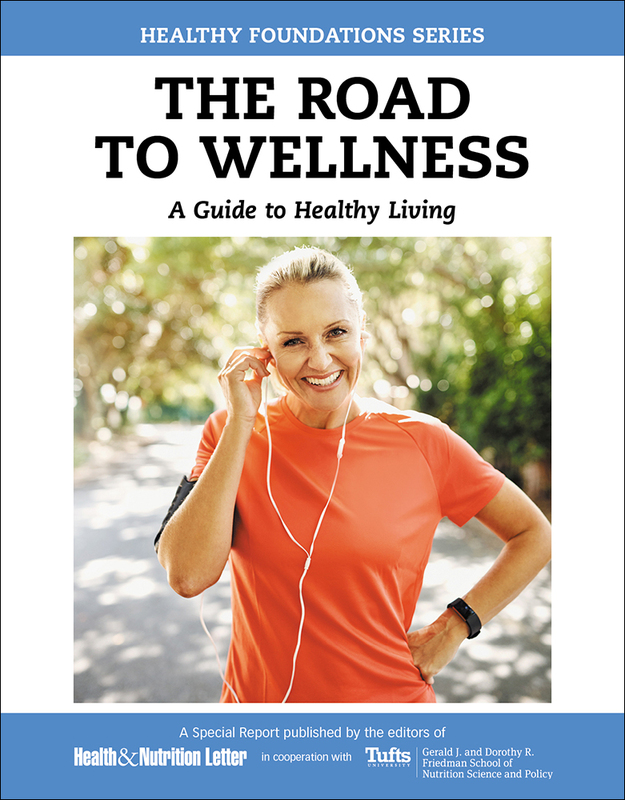 The Road to Wellness brings you some of the best ways to improve your strength, flexibility, balance and mobility so you can stay active and independent. 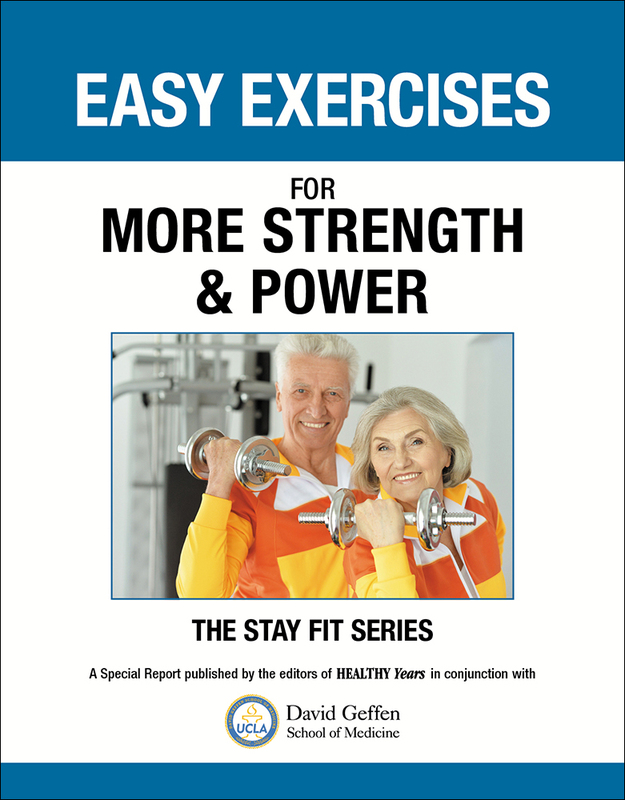 Easy Exercises for More Strength & Power is the one resource you need to boost your muscles, safely and effectively. 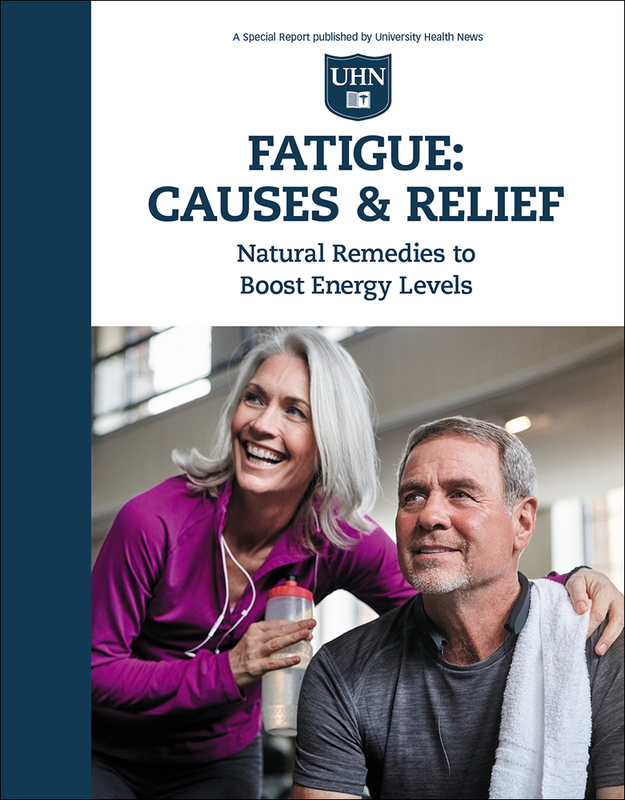 The report highlights nutrient-rich choices that will fuel your energy…foods that fight fatigue-inducing inflammation…and the best supplements to maintain vital vitamin and mineral levels. Foot problems send more than 7,000,000 Americans to the doctor every year. 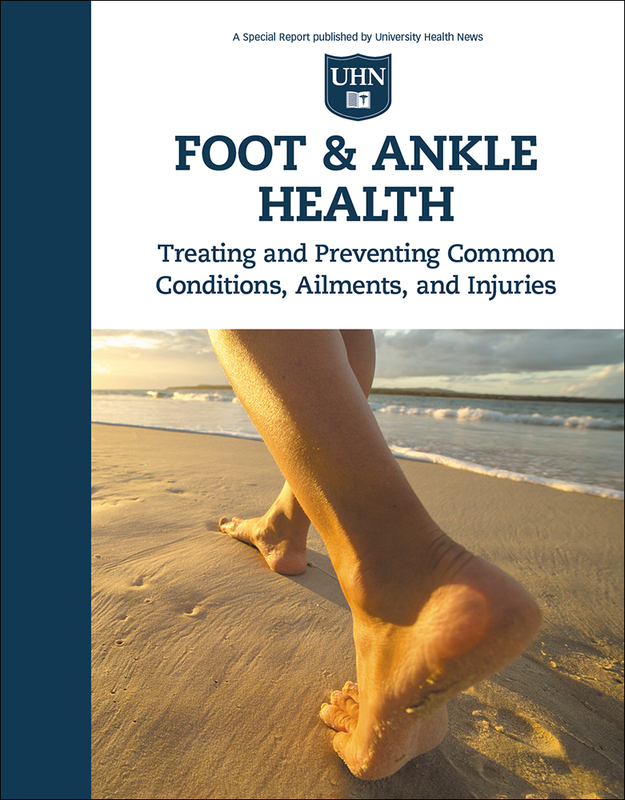 To help keep your feet and ankles healthy, take a look at Foot & Ankle Health from the experts at University Health News. 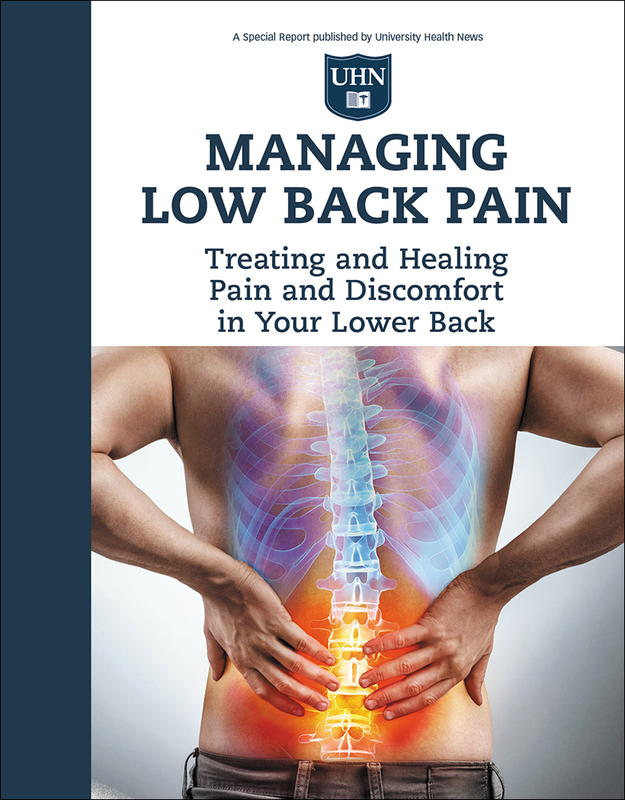 Managing Low Back Pain gets you up to date on all the latest treatment options. Don’t let stress and anxiety keep you from enjoying life to the fullest! 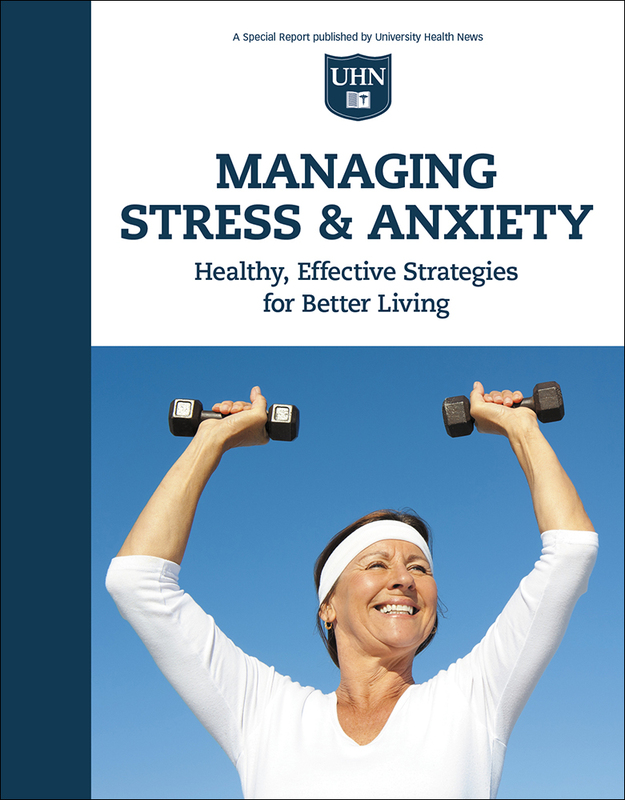 See how to help custom-tailor your own treatment plan today with the how-to help in Managing Stress & Anxiety. 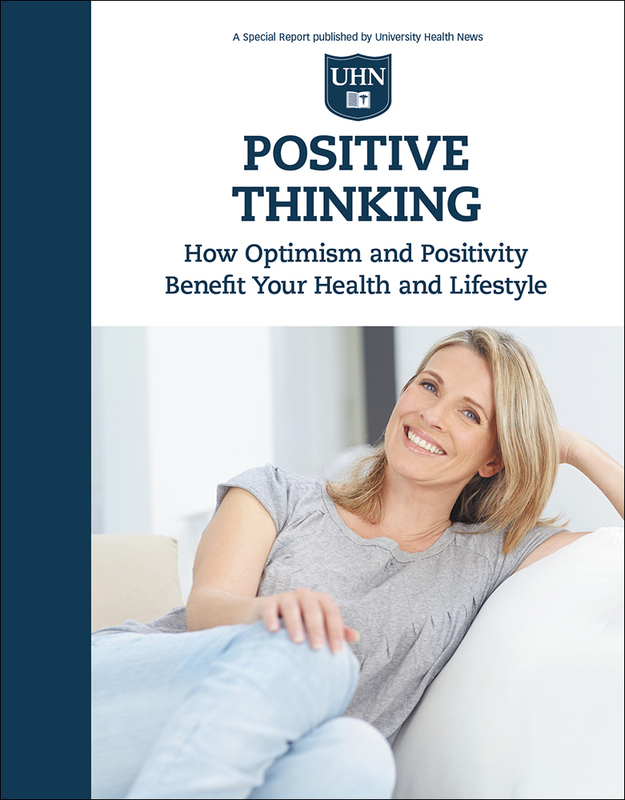 This vital new report will show you how to nourish and cherish your own self-worth, self-esteem, and self-confidence in today’s swirl of stress, social media, multitasking, and 24/7 news.